Georgia’s locale in Zones 7 and 8 make it an ideal place to grow just about anything you can imagine. If you’ve got a green thumb, you owe it to yourself to discover some of the Georgia’s wonderful garden centers and nurseries. The best ones offer plant varieties and decor, and their firsthand knowledge of Georgia’s growing industry means you’ll walk away with the best selections possible. Whether you love flowers or fruit trees, you can stock your garden in a single stop at one of these 10 best garden centers and nurseries in Georgia. This sprawling garden center is part plant provider, part landscaping inspiration center, and 100 percent service oriented. Their team are certified plant professionals who know what grows best in the area and stop at nothing to make your outdoor space look crisp, clean, polished, and everything else you want it to be. Their lineup includes an impressive variety of trees, shrubs, flowers, and plants alongside landscaping and decorating items to make every space unique. As Georgia’s oldest family-owned garden center, Cofer’s has been creating beautiful gardens for over 90 years, and they’re still going strong. They feature one of the best varieties of plants, flowers, and trees, with the experience and expertise to help you grow them right. It’s also a one-stop shop for grills, patio items, and furniture. Whether you need landscaping, lawn care, or plant life, you’ll find plenty of all three at Northside Garden Center. 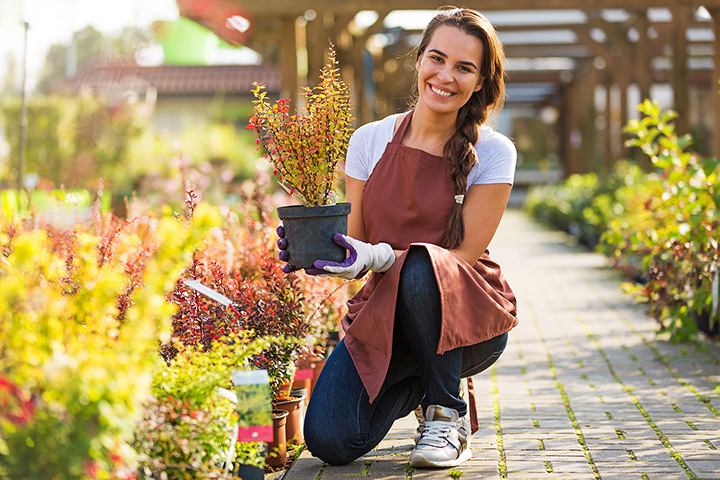 As a full-service garden center, you can pick up some new plants or flowers and all the yard tools to put them in the ground. They also carry specialty items for pets and a line of gourmet food items you won’t want to miss. This charming little nursery is like a secret garden hiding in the big city. The shopping experience itself is worth the trip, but you’ll make this your first choice once you experience all they have to offer. You can take advantage of their garden design that helps you create the garden of your dreams, or join one of their many classes to boost your horticulture knowledge. This locally owned and operated center has a huge selection to ensure you won’t need to make a second trip elsewhere. They pride themselves on stocking hard to find flowers and plants to give your garden what it’s been missing. Unlike some garden centers, Kelli Green is open year-round, offering a rotating selection to fit each season. Now with two locations, Holcomb’s Garden Center has been a Georgia gardening tradition for 50 years and counting. This old-fashioned retail store is everything a garden center should be. They offer tailored service alongside an expansive offering of plants, trees, and flowers. It’s also your headquarters for honeybees, beekeeping supplies, fairy gardens, and supplies to attract winged friends to your garden. Fans love Billingsley Garden Center because their staff goes above and beyond for their customers. Shoppers rave about the prices and selection, as well as how beautiful and healthy their plant varieties look. The only downside is that they close for the winter, but that just means you’ll always have something to look forward to when springtime comes. This dreamy garden shop is every bit as inspiring as it is helpful. The staff are fellow plant enthusiasts who can help you create the garden you deserve. They’re passionate about what they do, which is why they offer a full selection of plants, tools, accessories, soil, furniture, and more to give you everything you need the first time. This nursery was started as a way to share their passion for gardening with others. Now, it’s become an important pillar in the Woodstock gardening community that’s known for its high-quality plants, large selection, and a dedication to helping you become the best gardener possible. Visit during one of their workshops to hone your craft, or swing by anytime to pick up all the supplies you need for your next project. Not all gardens can be found in your backyard. Atlantis Hydroponics is dedicated to a different type of gardening, the one that can be started just about anywhere. They offer everything you need to start growing what you want the hydroponic way. Featuring best in class brands and the expertise to make them work right, you won’t have to rely on Mother Nature to help you build a beautiful garden ever again.